A new version of BRON will be out soon – before end of the week if all goes well. 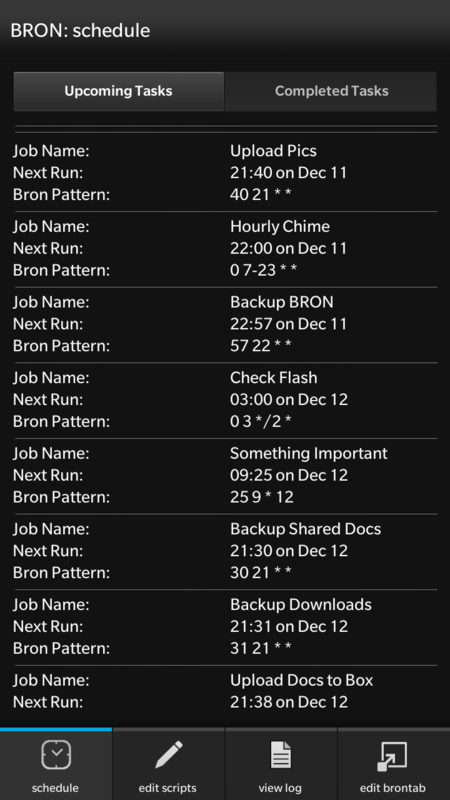 BRON will now detect changes to the brontab file. This means that you can edit the file outside of BRON if you like and BRON will re-schedule based on any changes you make. The Schedule screen is now split into two sections. The first shows upcoming tasks, the second shows completed tasks. 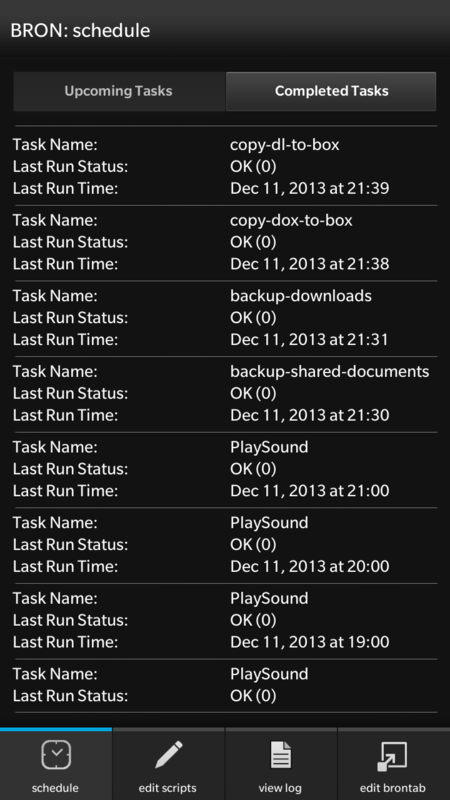 The Completed tasks section will show the time the task ran last and any exit code returned by your scripts. This provides an easy “at a glance” view of what’s going on. Of course, you can always use the log viewer to get more detail about a particular task. If you haven’t already, install BRON now from BlackBerry World. You will be notified when this new version is released. I’ve created a few apps for BlackBerry 10. The latest one is called BRON. It’s a task scheduler like cron for BlackBerry 10. BRON allows you to run shell scripts at the specified time. It has lots of other features too. Check it out!